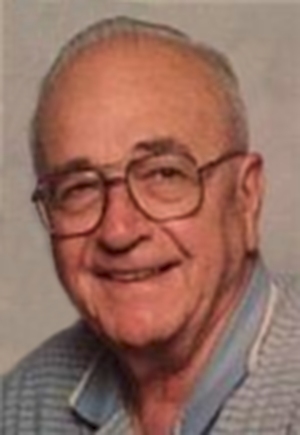 Obituary – Bohannon, Marvin Dale « Perry High School Alumni Association, Inc.
﻿Football ’44-’46; Basketball ’44-’46; Student Council ’45-’46; ’45-’46 Annual King. Marvin D. Bohannon, age 86, Colonel, NMARNG (Ret) passed away on May 31, 2015. He was born in Drumright, Oklahoma on October 27, 1928 to Arvil and Mabel Bohannon. Marvin was a resident of Santa Fe since January 1968. He was married to Lola for over 50 years who preceded him in death on May 28, 2006. He is survived by a brother A. R. Bohannon Jr. of Midland Texas; sons Dale and wife Lisa of El Paso Texas and Terry of Santa Fe; daughter Debra and husband Jonathan Lukesh of Rio Rancho; five grandchildren: Kacy, Dawnielle, Jessica and husband Peter Carr, Janelle and Cynthia; two great-granddaughters: Olivia and Charlotte Carr; great grandson, Klai; nieces and nephews: Reginia, Connie, Moises, Kay, Robert, Bill, Robin, Cheri and Connie and many grandnieces and grandnephews. He was also preceded in death by his parents & sister Helen. Marvin was a postal clerk in Hobbs NM from 1948 to 1952. He enlisted in the NMARNG in June 1948, became a full-time Guardsman as a 2d Lieutenant in November of 1952. He retired as a Colonel in October 1983 after 35 years. 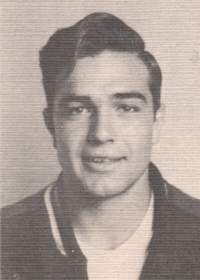 Marvin graduated from Perry Oklahoma High School in 1946 where he was elected as King of the high school and All Star Football running back in 1945 and a member of the National Honor Society. He also attended Northern Oklahoma Junior College for two years on a football scholarship and was elected president of the “O” club in 1947. Marvin was a lifetime bowler on many different leagues and just finished with a gold medal in both singles and doubles in the Senior Olympics and an active bi-weekly Casino visitor. Visitation will be held on June 7, 2015 from 5:00 – 7:00 PM at St. John’s United Methodist Church. Funeral services will be held at St. John’s United Methodist Church in Santa Fe at 9:00 AM on June 8, 2015 with the interim being held at The Santa Fe National Cemetery at 10:30 AM. Marvin & his family request in lieu of flowers, any memorial contributions to be made.